Unfortunately due to inclement weather we have to cancel all planned events for Sunday. There is standing water on the pulling track. General admission parking is severely limited due to wet grounds. Come out and help with the final push for planning. We are meeting at the Gera Bar on June 13th at about 6:30pm. Remember the show Dates are June 17 & 18. Setup will be taking place on June 15 & 16 and we can use all the help we can get! Hope to see some folks there! Do you have your tractors ready to display? 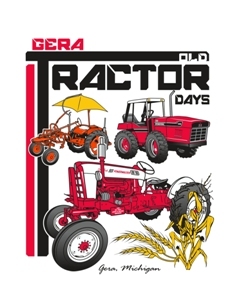 We are looking forward to seeing all of the beautiful tractors out on Father’s Day Weekend!